We’d love your help. Let us know what’s wrong with this preview of The Wild Ones by Gladys Swedak. 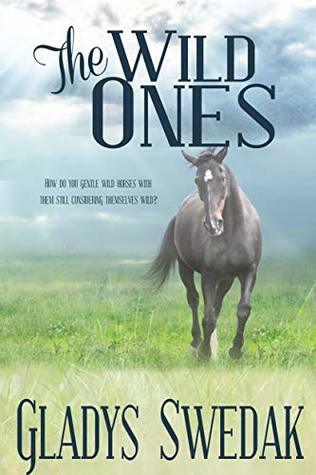 The Wild Ones tells the story of seven young wild horses left on their own in a small valley. Angel one of the fillies tells the horse’s story. When the horses are three years old they leave their valley and by defeating the leader of a big herd they the Circle Bar X ranch hands. The horses talk among themselves but not to the humans in the story. To ask other readers questions about The Wild Ones, please sign up. I enjoyed this story. Though not something I would typically read, it was fast and I think children to young adults will love how heartfelt it is, as told from the horses’ perspective. I thought it was very interesting how the author viewed humans from the horses’ POV. Highly recommend for animal lovers! Wild Ones is a charming and warm story well suited for the middle grade reader. It's a coming of age tale told through the eyes of a herd of young horses. Their learning curve, the trials and tribulations are recounted. Also the reader sees humans through the eyes of the herd. A sweet story. Very much enjoyed the premise of telling the tale from the viewpoint of the horses. Children will like this format as well and be interested in the adventures and challenges of these beautiful wild creatures. I am going to share this book with my grandchildren! Awesome book for all readers. Highly recommend for a heartfelt and enjoying read.